Combined, these two instructors bring more than fifty years of experience into the room, and they do their best in that twenty-four hours to give it all to you as a student, in ways that are meaningful and digestible. 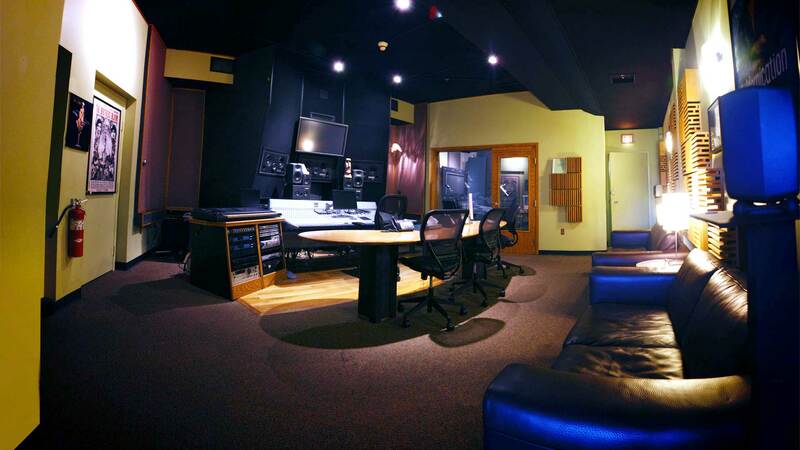 The class is called VO Intensive, sponsored by CP Casting and held at Soundtrack Group in Boston. And the instructors are the actor Dorothy Gallagher, who has been working on stage, screen, and voiceover for more than thirty years; and Brian McKeever, an engineer and sound designer at Soundtrack who also works as a voice actor and has been in the industry for more than twenty years. The format of the class is intense and compelling: six four-hour sessions spread over roughly two weeks, two days on and then four days off. The first class is a fun introduction as the whole class takes part in group spots, so Dorothy can learn each person’s voice, strengths, and areas for growth. On day two, work begins, and over the course of the next five classes, each of us in the class worked on a dozen scripts, in the booth, recording as many takes as necessary to get it right. Throughout, Dorothy imparts her incredible knowledge of both physical techniques for acting and receiving direction, as well as an incredible amount of experience in the booth and working in the industry – her knowledge of how each spot should sound and what each client would expect is encyclopedic. And during each recording, Brian is ever present offering his own experience from myriad clients, as well as technical tips and etiquette that start to give each student the tools to become working professionals. For me, it was just an incredible experience. Dorothy creates a very trusting and open environment from the get-go, allowing each of us to push ourselves to areas we didn’t know we could get to. And the intensity of the work, and bang for the buck, is just outstanding: you’re in the booth, recording 12 spots over six sessions, and those reps are very handy at coming to grips with the nerves that naturally come along with being on the spot, auditioning or recording for someone. When you’re not in the booth, you have the opportunity to listen in while other students record, observing Dorothy and Brian coaching them. I found it much easier to take notes and actively listen while the other students were working, given how nervous I can get when I’m in the booth. For reference, sample spots I worked on in the class are above, in the order I did them. I think the improvement in quality and especially range is tangible across the six sessions. Many many thanks to both Dorothy and Brian, and to CP Casting for sponsoring the class. It was an incredible learning experience and one I recommend highly to anyone interested in voice acting. Thank you for the extensive and very helpful remarks about VO intensive. I have been considering doing voice over and getting serious training. This sounds like what I would be looking for.